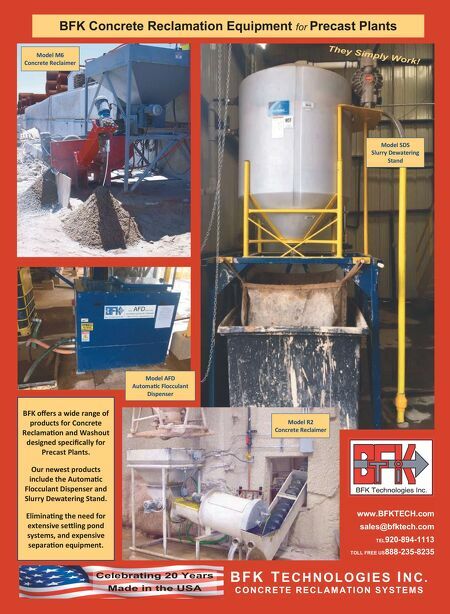 www.BFKTECH.com sales@bfktech.com TEL920-894-1113 TOLL FREE US888-235-8235 BFK Concrete Reclamation Equipment for Precast Plants B F K T E C H N O L O G I E S I N C . C O N C R E T E R E C L A M A T I O N S Y S T E M S Model M6 Concrete Reclaimer Model SDS Slurry Dewatering Stand Model AFD AutomaƟc Flocculant Dispenser Model R2 Concrete Reclaimer BFK offers a wide range of products for Concrete ReclamaƟon and Washout designed specifically for Precast Plants. Our newest products include the AutomaƟc Flocculant Dispenser and Slurry Dewatering Stand. 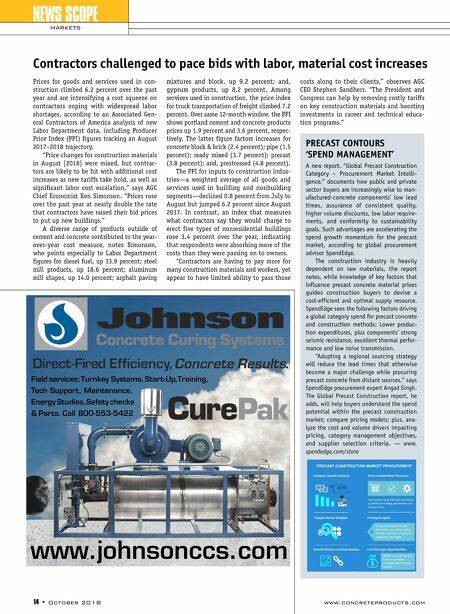 EliminaƟng the need for extensive seƩling pond systems, and expensive separaƟon equipment.